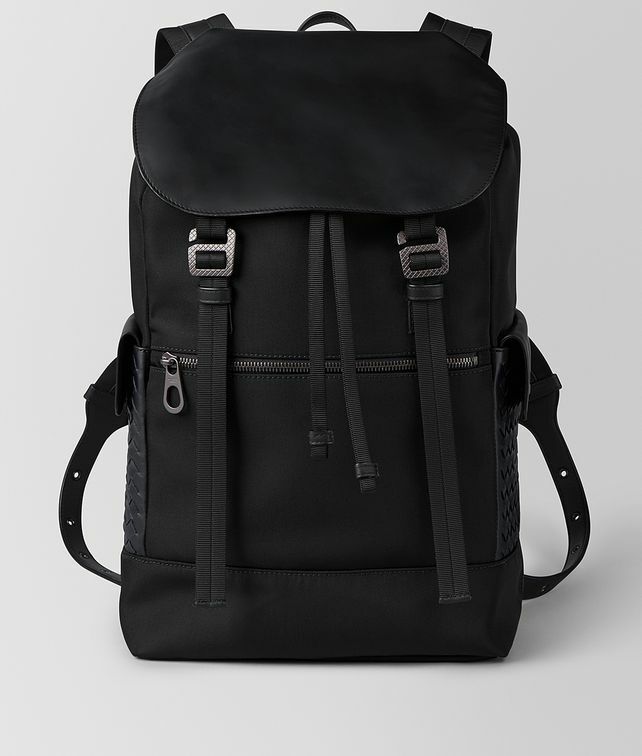 Skilfully functional yet sophisticated, the backpack of the season is a refined display of workmanship. It is handcrafted from a modern mix of matt calf leather and hard-wearing nylon, and finished with patch pockets woven in the iconic intrecciato motif. Designed as an essential piece for every day, the lightweight yet spacious shape is complete with a padded interior pocket for essential tech pieces, adjustable shoulder straps in nylon ribbon and signature brunito hardware. Height: 46 cm | 18"